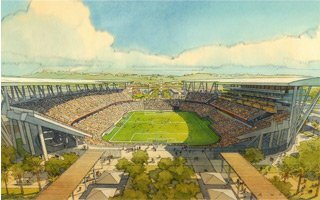 After an-MLS specific Soccer City, now the San Diego State University presented its bid to deliver a massive project in the place of Qualcomm Stadium, set for demolition. At the heart: new 35,000-seater for the Aztecs. 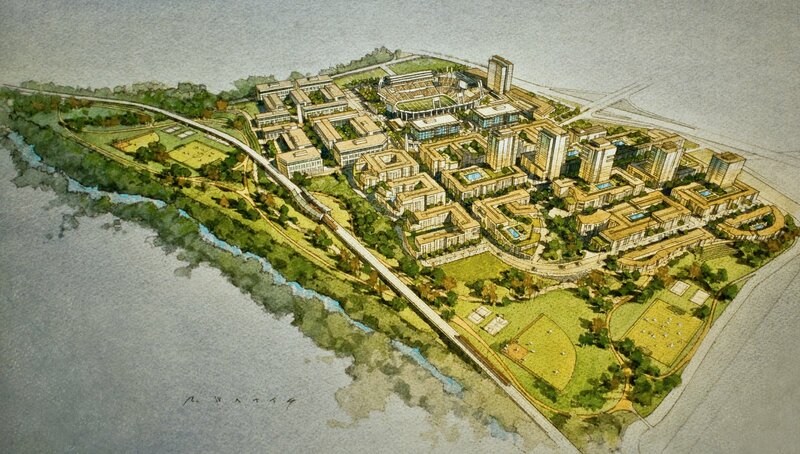 Last week the San Diego State Univesity finally revealed their bid for Mission Valley grounds where Qualcomm Stadium now stands. The abandoned NFL giant is now obsolete and set for demolition. 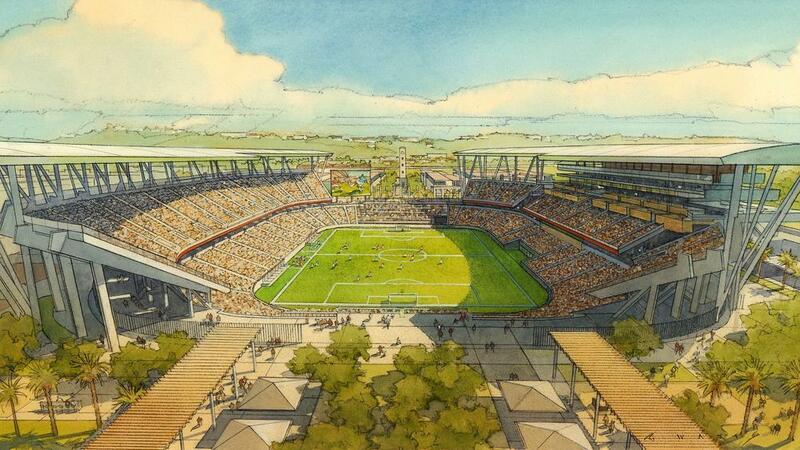 Until now we knew of one bid, dubbed the Soccer City, focused around a San Diego MLS proposal. And while Soccer City invited SDSU's Aztecs to become tenants at the stadium, SDSU decided to propose a campus of their own, of course returning the favour to potential MLS parterns if the university is chosen as preferred proponent. This time next year we should know which bid will be carried out, for now they should both be considered just master plans with preliminary stadium designs. New football (& soccer) stadium of San Diego State University is expected to be built in Mission Valley, on the site of existing Qualcomm Stadium. 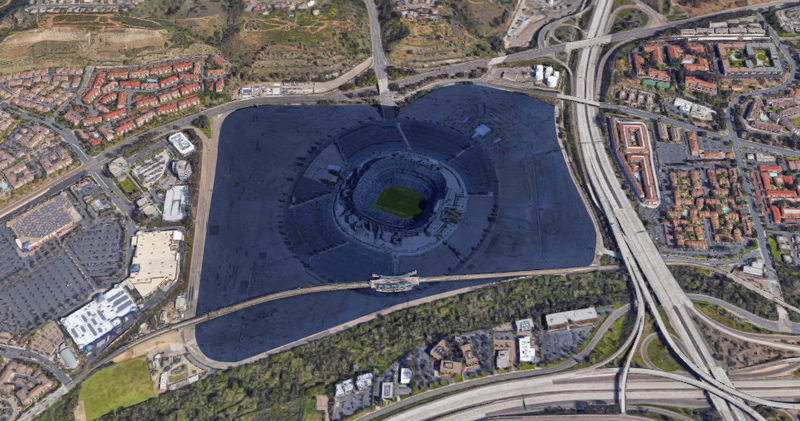 While the new stadium would be built just west of the old one, Qualcomm is still to be demolished in order to make way for surrounding developments. These include 4,500 housing units, 90,000 square feet of commercial space and a 450-room hotel. The stadium's initial capacity was set at 35,000, which would be sufficient for the demand of SDSU Aztecs football team. It's also enough to house a potential San Diego MLS team. With very traditional layout, the stadium's main grandstand is located in the west, offering a series of spacious terraces, only partly covered. This is where bulk of the building's hospitality offer will be housed, however an interesting addition is planned behind the south goal, with cascading decks serving as bar tables overlooking the field. Initial layout of the auditorium leaves open the prospect of adding roof over the west and east stands. It also enables expansion to the NFL-desired 55,000 seats, should there be actual need for it. First cost estimate suggested a price tag of $150 million but already upon the presentation of initial renders it was already changed to a more realistic $250 million.